Connect the QuadView UHD to any monitor or projector from XGA up to 4K resolution, and you’re ready for the next generation in multiviewer performance. 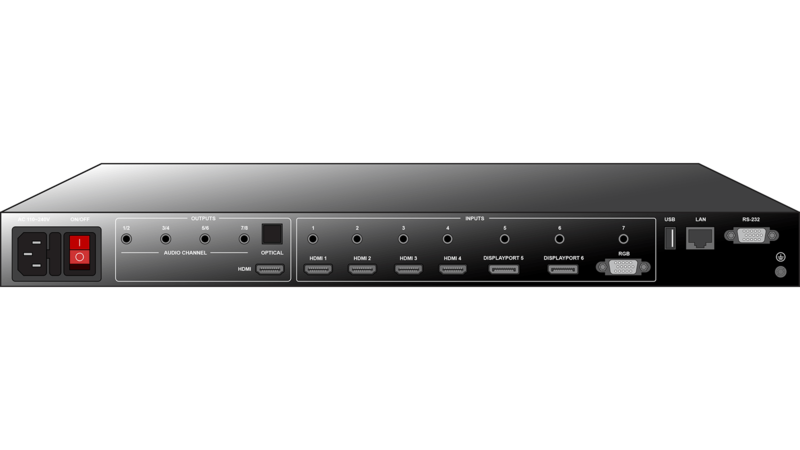 You can mix and match input resolutions, scale any video input up to UHD and route any input to any window. Both HD and UHD inputs can be displayed without downscaling, taking full advantage of the QuadView UHD’s remarkable image processing. 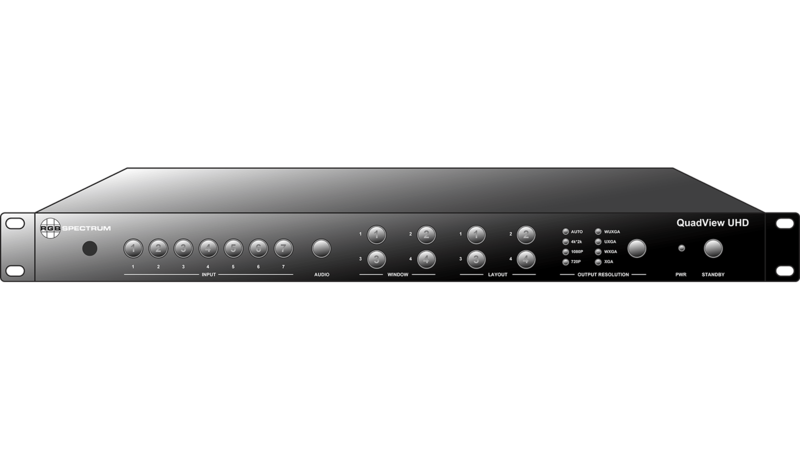 Audio follow and audio breakaway modes are standard, and the QuadView UHD enables you to select audio from any source — even one not currently displayed. 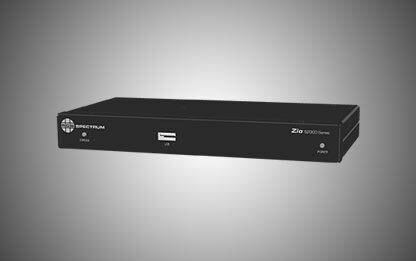 The QuadView UHD multiviewer also includes HDCP authentication and EDID management functionality. Multiple control methods include the front panel, a web interface, and an IR remote. Third-party control is supported via Ethernet and RS-232. The QuadView UHD front panel is simplicity itself, enabling audio, video input and layout selection. Up to 16 layouts are provided — including quad split, full screen, triple windows, and side-by-side mode. Simply select a layout, select inputs, and route to the desired windows. From the boardroom to the digital signage marquee, to the control room, the QuadView UHD represents the next evolution in multiviewer technology. The versatile QuadView UHD allows users to fully capitalize on the benefits of 4K UHD with speed, simplicity, and superb video quality. Which multiviewer is right for your project? Or Compare All Products in this category.